Petite 4.5 ft. 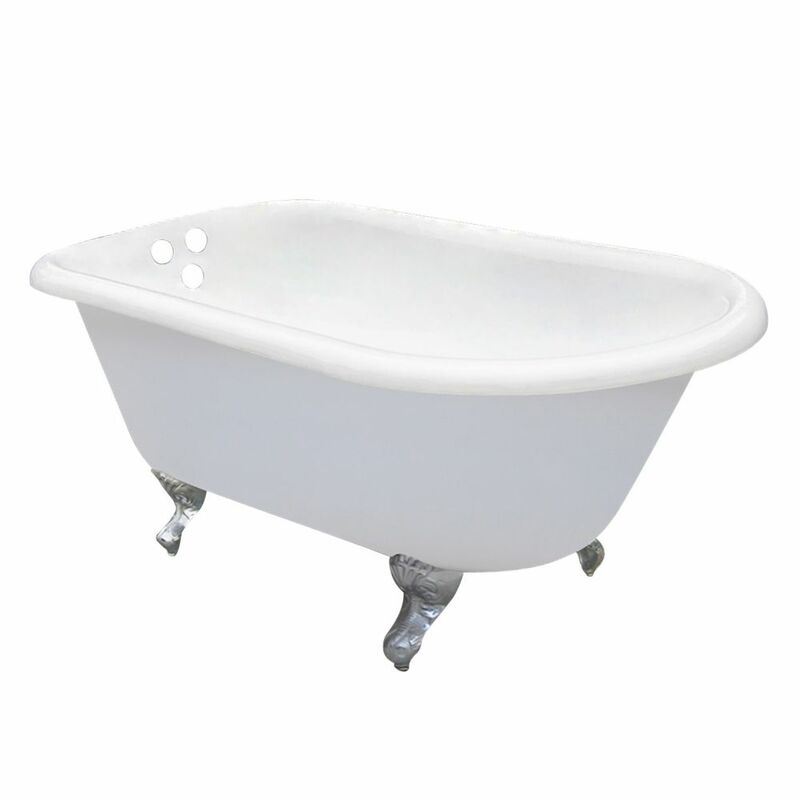 Cast Iron Chrome Claw Foot Roll Top Tub with 3-3/8 inch Centers in White This 54 inch cast iron bathtub is perfect for those who want to place a tub in a smaller space and still enjoy all the benefits cast iron has to offer. The classical roll top tub adds a vintage touch to your home bathroom. With timeless styling and ornate tub feet, this tub will provide warmth and durability because of its cast iron construction. With 3-3/8 inch faucet drillings on the tub wall, the tub filler can be mounted directly to the tub. Petite 4.5 ft. Cast Iron Chrome Claw Foot Roll Top Tub with 3-3/8 inch Centers in White is rated 4.3 out of 5 by 4. Rated 2 out of 5 by Bethany from This was the only small clawfoot tub I could find that would fit into the space I have available.... This was the only small clawfoot tub I could find that would fit into the space I have available. So I didn't have much of a choice. However, the feet fit poorly, which is going to take some creative solution to make it look reasonable (see the attached picture). You can see the space in between the foot and the tub because it doesn't fit right up against the bottom of the tub. Rated 5 out of 5 by Clawfoot from Claw foot tub Perfect fit in our space and looks amazing. Ordering was a bit confusing...tub mount, wall mount..etc. we didn't want the shower attachment which was even harder to find. The only recommendation would be to offer drain/faucet packages.